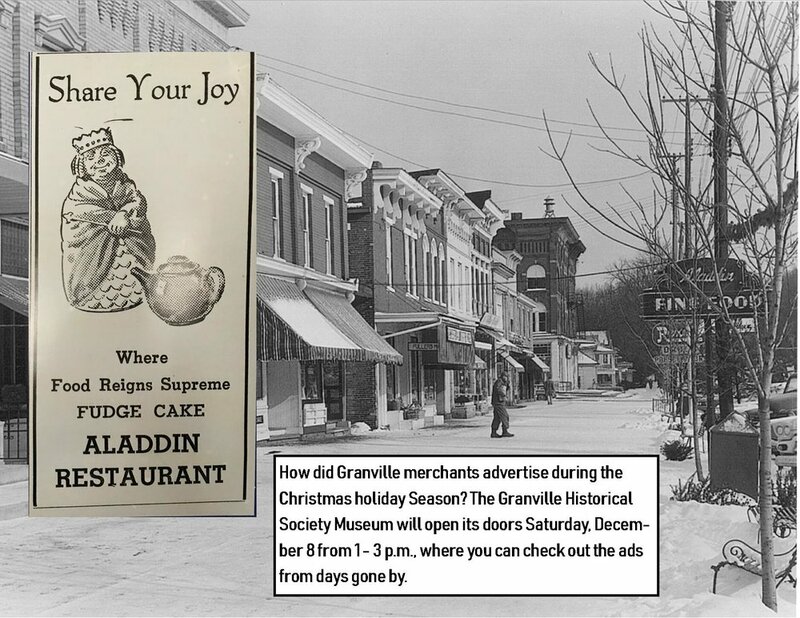 On Saturday, 12/8, from 1:00-3:00, the GHS museum will open its doors for a display of historic Christmas ads from Granville merchants. Come by to see these great artifacts from our collection! Free and open to the public.